With nearly 400 stores across five countries, we're a one-stop source for domestic, international, and freight shipping services. When you visit your local Pak Mail in Peachtree City, we'll find the most cost-effective, safe way to pack and ship your items, whether it's by air, ocean, or ground. The post Mailboxes!! appeared first on Pak Mail Peachtree City. 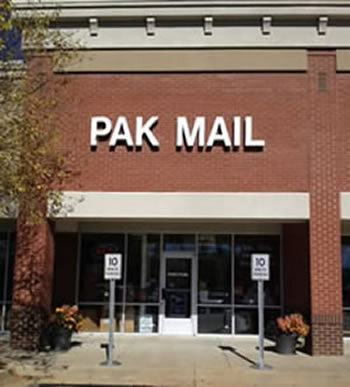 Welcome to Pak Mail Peachtree City! We are conveniently located in the Wilshire Pavilion Shopping Center near Publix and the Starr’s Mill Chick-fil-A at the corner of Highway 74 South and Holly Grove Road. Pak Mail is the most comprehensive packing and shipping business you will ever use! We are your one stop shop for logistics. We help our customers do everything from sticking a stamp on a letter, to packing and shipping delicate crystal, to crating heavy machinery going overseas. Think of us as your personal packing & shipping department! When you ship with us, we’ll be able to compare rates and delivery options from our preferred network of carriers including FedEx, UPS, US Postal Service, and DHL, to guarantee the most competitive price and efficient delivery method for your needs. Whether you need to ship a grandfather clock, electronic equipment, a small apartment or original artwork; at Pak Mail Peachtree City, we can do it all. We have the knowledge and expertise to handle and pack your items with the care they need and deserve. We also offer business services such as scanning, faxing, copies in both black/white and color, and notary public. We have private mailbox rental with an option for 24-hour access. Our large selection of Avanti and Blue Mountain Arts greeting cards are unique and not found at many other locations in the local area. Pak Mail Peachtree City is a full service shipping store specializing in custom packing, custom crating, and small-to-large freight shipping.� We are located in south Peachtree City and proudly serve Peachtree City, Senoia, Fayetteville, Brooks, Tyrone, Newnan, South Metro Atlanta and the surrounding areas. Request a free online estimate or give us a call at 770-486-0069.